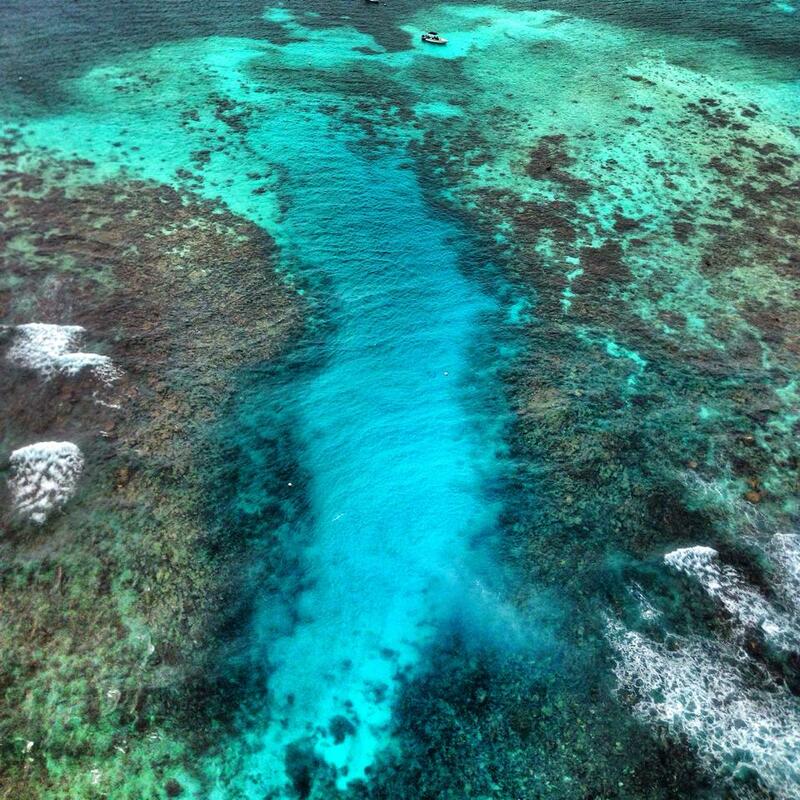 Astrum helicopter view of the Hol Chan cut in the reef and snorkel site. But while the caye is often describe in travel books as a thin sandy strip, it’s actually not that at all. 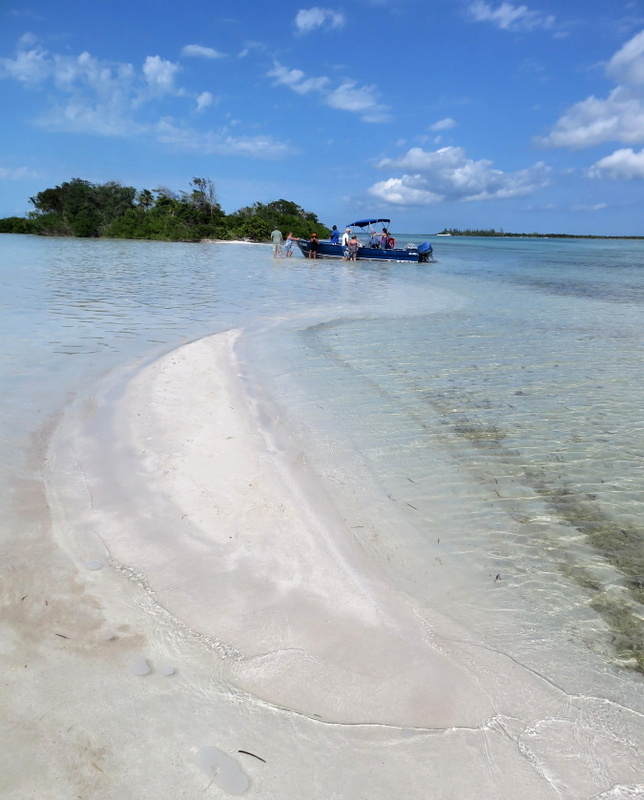 Over 25 miles long and about 5 miles wide, the opposite side of the caye is a whole different and very sparsely populated world. 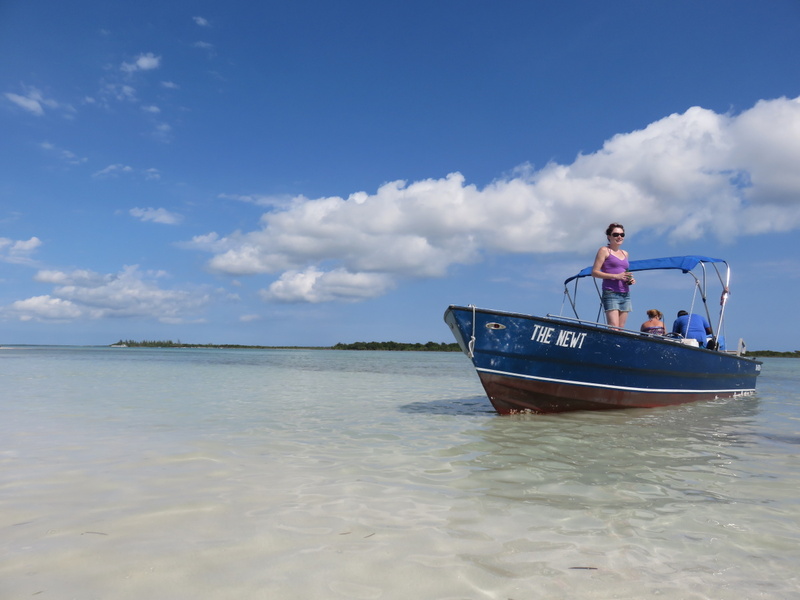 Just getting across the caye is an adventure – the road to Grand Belizean estates (5 miles up) is the only non-boat thoroughfare. And there is a not so “secret beach” up there that people love. Especially on Sunday. 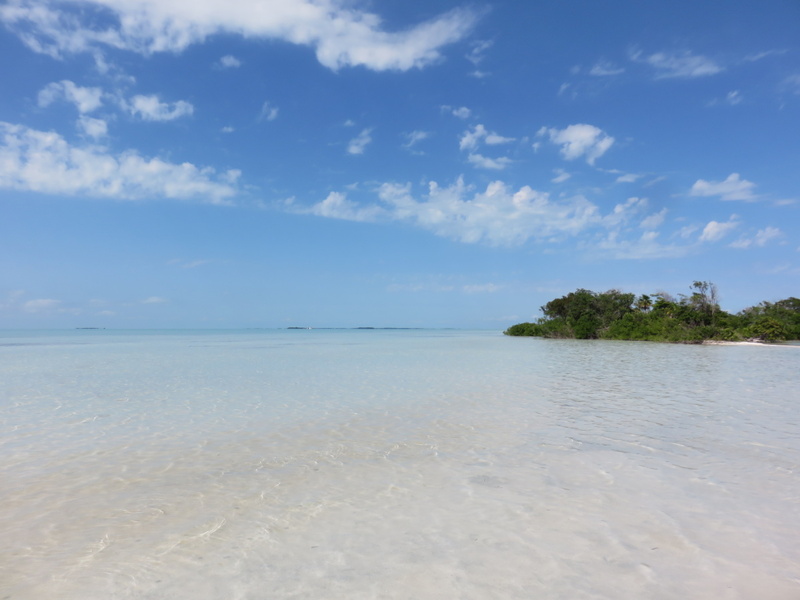 This side of the island is gorgeous…and yesterday, I got a pick up and was taken to one of the sand bars that form on the southern end of the many cayes back there. Note: It’s not only gorgeous but a very delicate environment…this whole inner lagoon and its surroundings were set to be part of the larger national protected area of Hol Chan Marine reserve until it died on someone’s desk. Most are still hoping, with fingers crossed, that the years of efforts finally pay off and this area get the protection it deserves. There I said it. Now the pretty pictures. You can see Blackadore Caye (the island owned by Leonardo DiCaprio and team) just behind us. 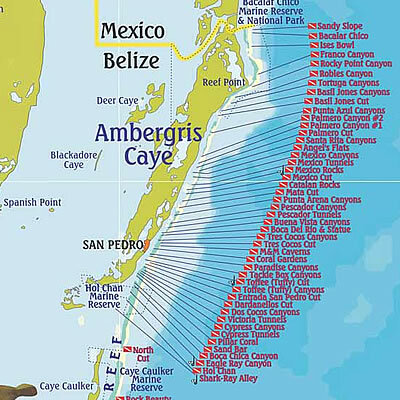 The caye is labelled on the map above. We pushed up into the very soft sand in “The Newt”. The boat has taken me to Bacalar Chico National Reserve on North Ambergris Caye AND the swim with a manatee (!!!!!!!!!!!!!!) 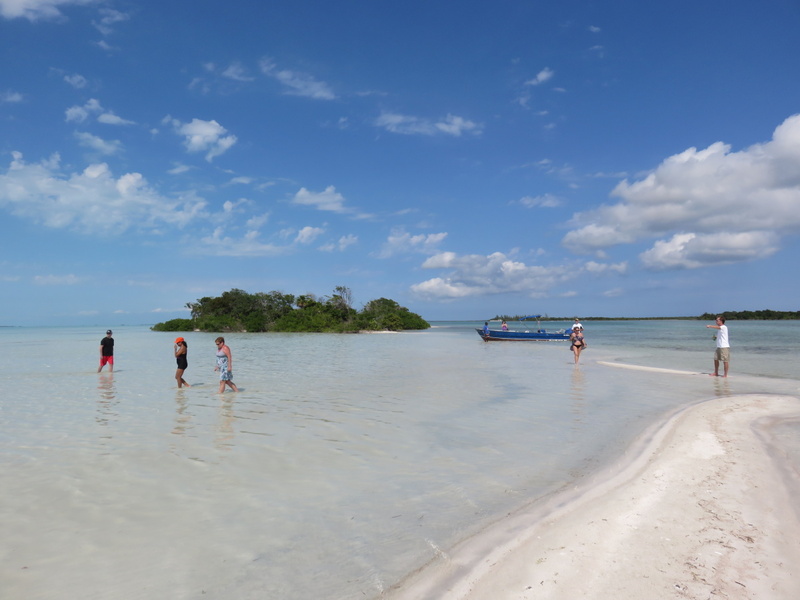 off Caye Caulker. 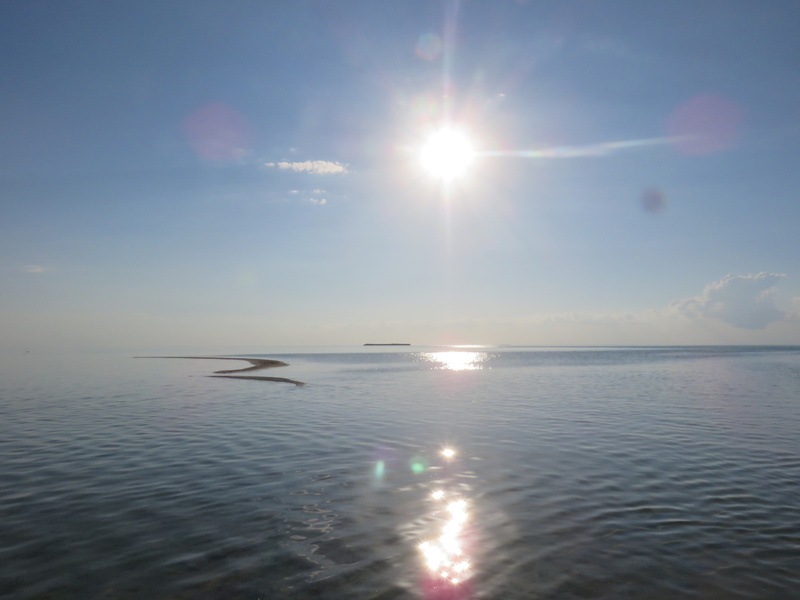 The sand bars current residents…about 15 gulls and 10 pelicans annoyed, scattered as we unloaded. 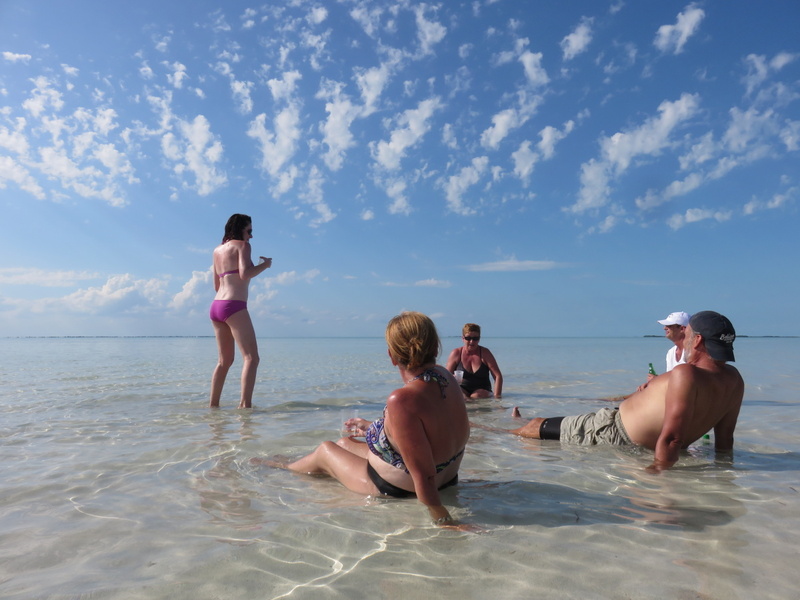 The view from the patch of sand…the smaller cayes dotting the crystal clear water. If you squint, you can see the palatial home of James Prince – who is a big name boxing promoter – and has a small caye all to himself. 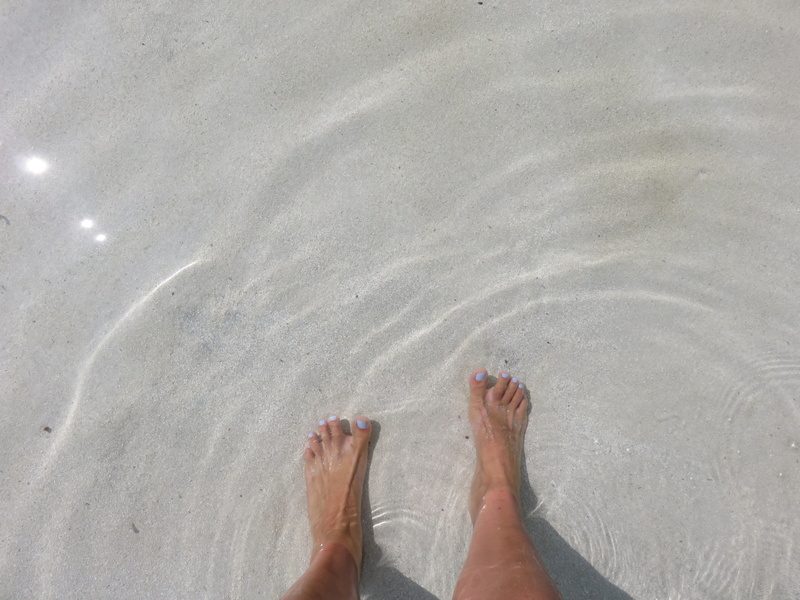 The water is just incredibly calm. And your sunscreen? Hopefully thickly and frequently applied. 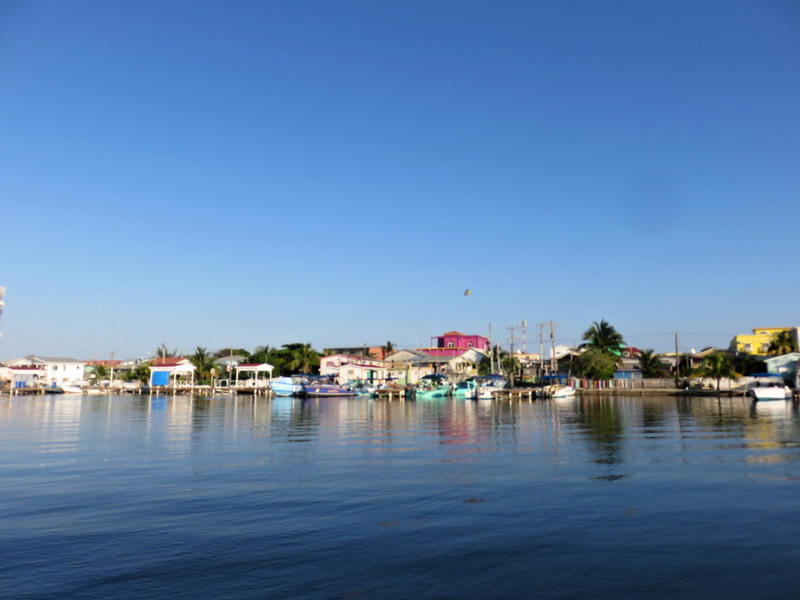 After about 2 hours in the sun…and the water…and all of the San Pedro residents gawking over the beauty of this area, we shoved the boat back a few feet and loaded in. 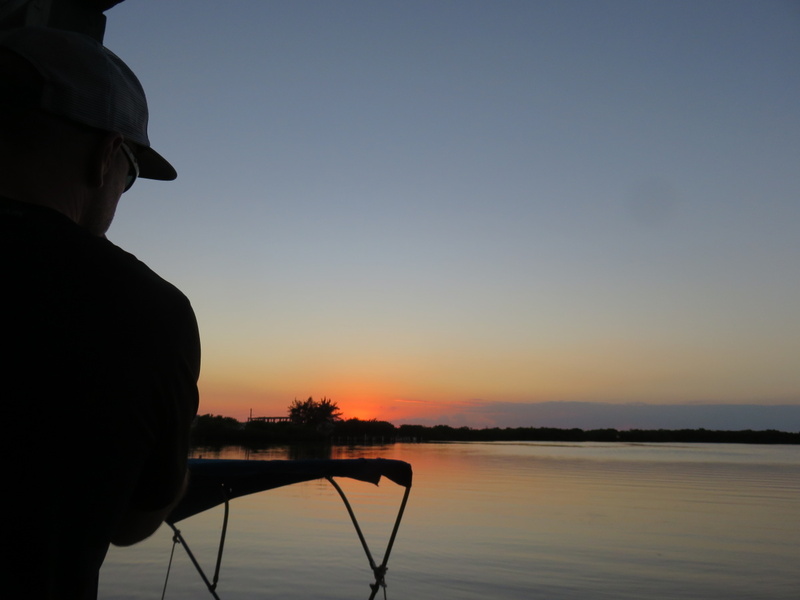 Headed to the back side of town for the sun set. 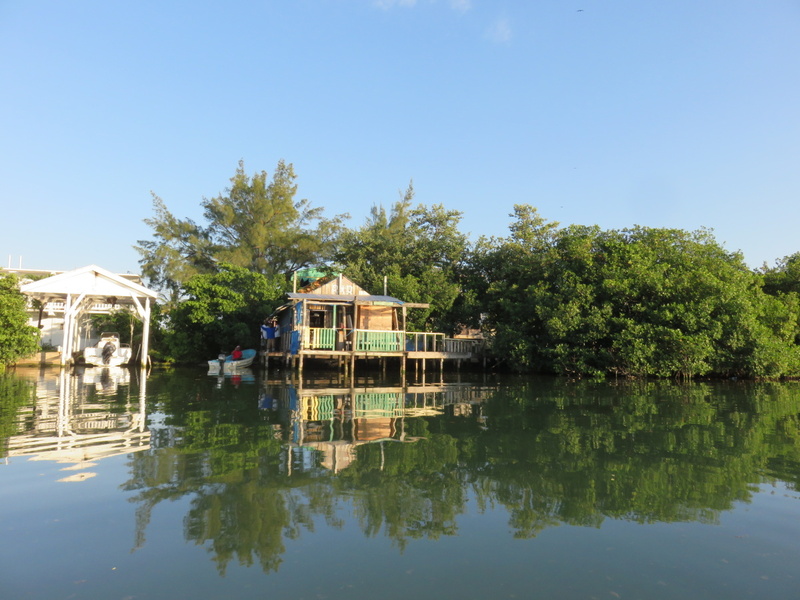 Back thru the mangroves and to one of the island’s more interesting bars, Barrel Bar. I think there are new renters since I was last there but the jukebox has been improved. And that’s about it. 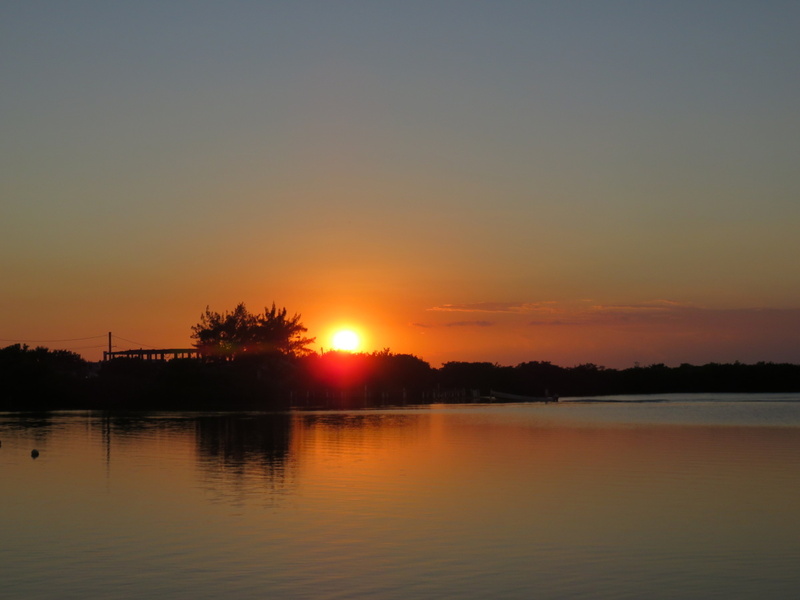 The art work inside might be too avant garde for your taste but the view at sunset is just fine. Sigh…not a bad Monday in February. Killing me with the pictures Scoop! But I am merely documenting my life…. How do you get here?! Will be going to Belize this upcoming friday!